No photographs of the old pub survive, but its location is recorded on a map of Sutton produced for the Parochial Valuation in 1856. Plot 2725 belonged to Charles Webb, and included a house tenanted by William Lunt and a public house called the Plough and Harrow tenanted by Mary Wallin. This plot adjoined the present-day house called Muffins Den; the plot is also shown on a plan of 1824, where it is numbered 453 owned by John Daulman and consisting of three houses. No doubt one of these three houses served as a pub, but it seems reasonable to suppose that the plot was redeveloped after 1824 into the Plough and Harrow with its adjoining cottage as seen by Mr. Langley in 1948. The 1861 census lists Mary Wallin at the Plough and Harrow together with her son Joseph (then ten years old) - Mary is described as “Beer House Keeper”. The 1851 census shows only farmers and farmworkers living in the area, so the pub probably dates from the early 1850s. 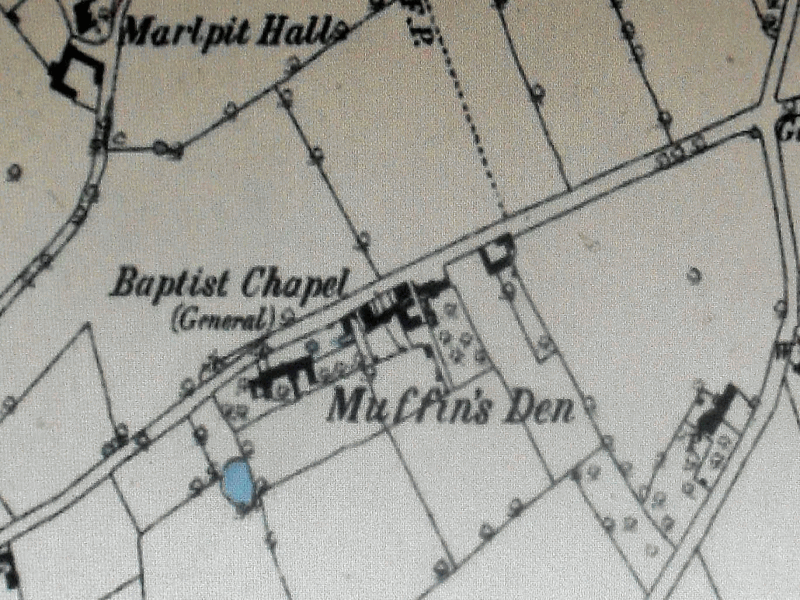 The locality called Muffins Den was in an isolated spot, and never consisted of more than twelve households. 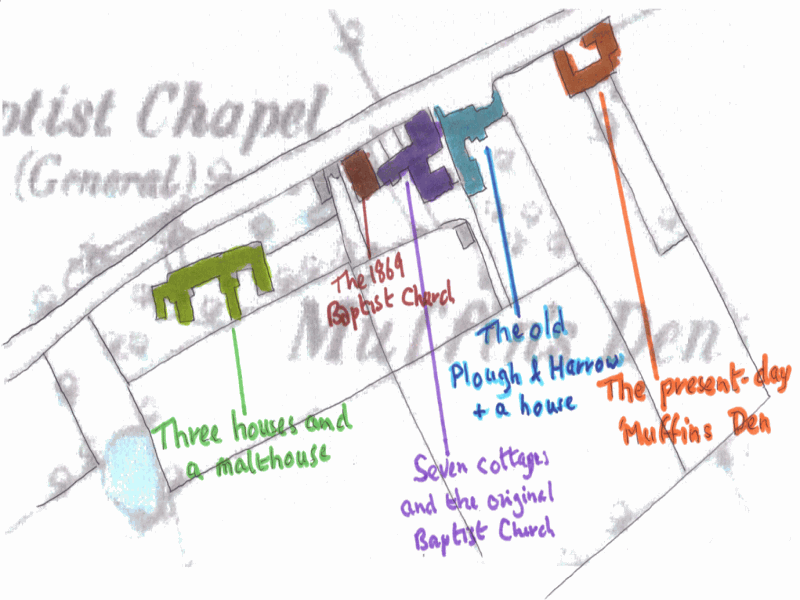 The plot next to the Plough and Harrow was a cluster of cottages including a Baptist church, and at the Little Sutton end there was a farmhouse with two cottages and a malthouse. By 1800 the place had shaken off its lawless reputation, which it had acquired as early as 1500 - Bishop Vesey installed a watchman in the stone house nearby in about 1530 (now Vesey Grange), and Dugdale in his “Antiquities of Warwickshire of 1656 refers to Muffins Den as a thieves’ hideout. By 1850 the surrounding commons had been enclosed and traffic along Slade Road was on the increase, so the establishment of a public house half-way between the Fox and Dogs at Little Sutton and the Lamb at Canwell Gate made economic sense.